We have a funny name, but we’re seriously creative. Our award-winning, full-service agency provides strategic, creative solutions for our clients’ marketing, advertising and communication challenges. You’ll find working with Mopdog is a natural fit. There’s no agency bureaucracy here, so you will speak to the person actually doing the work. Tight-knit and talented is how we’ve been described, and that suits us just fine. At Mopdog, we have gathered a pack of creative professionals as diverse as our clients. We do brilliant, fresh, innovative work. Let us flex our creative muscle for you. William has more than 30 years of marketing, creative and design experience, and leads the organization as the Creative Director and CEO. An entrepreneur by nature, William started a creative agency in Detroit, Michigan after graduating from the College for Creative Studies with a Bachelor of Fine Arts in Art Direction. At Mopdog, he oversees all creative concepts and designs, while managing staff and current/prospective client relationships. With a strong belief in innovation, he keeps the company at the forefront of technology, enabling Mopdog to remain on the cutting edge of creativity and design. William has served on numerous boards and committees, including the Swift-Cantrell Park Foundation, Reconnecting Families, Cobb Chamber (Cobb Youth Leadership Co-Chair, Governing Board, Leadership Cobb Alumni Association, Leadership Cobb graduate) and the Center for Family Resources (Marketing Committee). 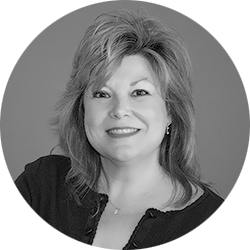 Cheryl has more than 25 years of experience in healthcare, marketing, sales and development leadership positions. Since 1997, she has served as the Chief Strategy Officer for Mopdog and, in this role, she has applied her marketing communications, strategic planning and brand positioning expertise to local, regional, national and global companies. Her expertise has helped C-Suite executives and marketers plan, implement and achieve more from their strategic development, brand communications and marketing efforts. In 2013, she and her husband William, launched Good Dog Foundation, a 501(c)3 focused on charitable giving to improve the lives of children and support families in need. In 2015, they launched Raising Help, a company focused on assisting non-profit organizations to implement and sustain stakeholder engagement to best achieve their mission. Also, Cheryl is an active healthcare consultant with more than 25 years of senior leadership experience in marketing and sales in the post-acute care sector. Prior to joining Mopdog, Cheryl held senior leadership positions in the healthcare industry, including vice president for sales and marketing for publicly held pharmacy services corporations. Through her leadership, she assisted the organization to grow from start-up to revenues exceeding $1B. Cheryl’s accountability for all development, sales and clinical marketing programs involved managers and 100 salespeople and clinical nurse consultants, market positioning, product and services development, board development and PR strategies. She also played an integral role in new company acquisition and merger analyses. Cheryl assists numerous local boards and non-profit organizations. She has also received numerous awards and recognitions, including 2009 West Cobb Citizen of the Year, 2009 Tribute to Women Leaders Honoree and Cobb Chamber 2015 Woman of Distinction nominee. Pauline has been with Mopdog since March 2015. She attended the University of Georgia, where she received her Bachelor of Arts in Journalism, emphasizing Advertising and Creative Strategy. Pauline has experience in project management, advertising, social media and design. Her main focus is trafficking projects internally and externally, tasked with keeping projects on time and on budget in the most efficient and organized manner. Since 2007, Pauline has supported event management/ fundraising for multiple non-profits in Cobb County. She currently sits on the young professionals board of liveSAFE Resources. Tricia has been with Mopdog since 2002. She is a master at layout and design, with over 18 years experience in graphics and print production. Tricia completes collateral from conception to production, while spearheading many projects to come under budget. She also delivers expert advice from past experience working at a print shop. Tricia prides herself on staying on top of the latest versions of design software and learning about current design trends by attending marketing conferences, following industry-leading blogs and referring to her large reference library. Tricia also mentors Mopdog’s budding, young print designers, who are recent graduates or interns looking for hands-on guidance. She has a Bachelor of Science Degree in Visual Communication from Ferris State University, in Michigan. Martin joined Mopdog in 2012, bringing with him his years of experience in illustration, video production, audio production, animation and web design. Prior to working with Mopdog, Martin worked 15 years in the music business in the United Kingdom. He left for Chicago to pursue creative opportunities in the then-burgeoning IPTV industry before transitioning into the world of digital media. After 10 great yet brutal winters in Chicago, Martin relocated his family to the warmer climates of Atlanta, Georgia, where he first discovered Mopdog. After hours, Martin can be found volunteering his time running production for local events and festivals. 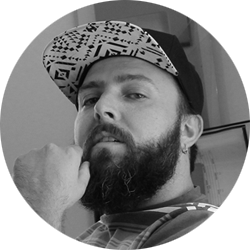 Adam joined Mopdog in 2010 with the primary focus of digital media design and production. He attended the Art Institute of Atlanta and has more than a decade of digital media design experience. He is an expert at organizing and developing creative media for a digital and print environment, including e-communications, social media, presentations, brochures, catalogs and websites. Adam is also a talented photographer and budding fine artist. With almost a decade of photography under his belt, Adam has experience shooting models, products, events, locations and more. Diving into photography in order to view the world from a new perspective and share discovered stories with others, he grabbed at the opportunity to complete his largest project to date - a 140-day solo exploration of the Western United States. While the Run & Gun technique used in street photography is his favorite style, Adam also enjoys studio photography and using off-camera lighting techniques. Anna joined Mopdog in December 2018. She supports her role as Copywriter with her experience in creative writing, communications and content marketing. She graduated from Kennesaw State University with a Bachelor of Science in Integrative Studies, with coursework centered on Communications and International Affairs. She utilizes both her interpersonal and intercultural skills to cultivate each client’s own voice and vision. 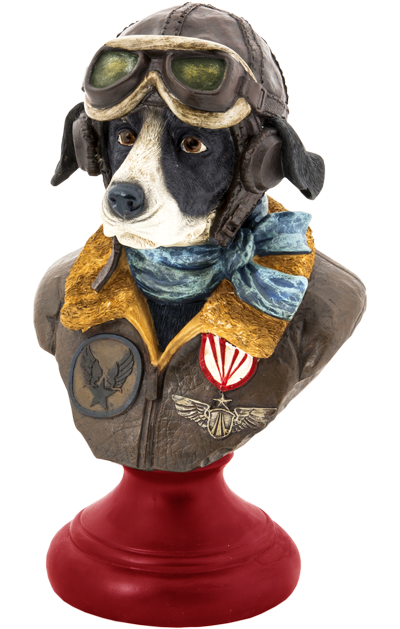 She has developed a strong affinity for creative expression and transfers that passion into her work. Previously, she assisted the Carter Center in Atlanta, GA as their Communications Intern where she developed visual and written content including video editing, copyediting, content strategy reports and vendor research. Michele trained for a professional career in ballet performance at the University of Cincinnati-College Conservatory of Music. Following a professional ballet career, Michele was Executive Director of an Atlanta nonprofit arts organization for 10 years. She served a three-year term on the dance panel of the Georgia Council for the Arts and was a member of the Dance Advisory Board for the Kennesaw State University College of the Arts.